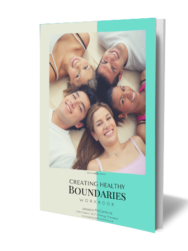 In this interactive ebook, learn about what boundaries are, why they are important and how to set and enforce them in your life. Discover how to work with and analyze your dreams with this free interactive workbook that teaches a simple yet profoundly effective dream analysis system that will change the way you think about your dreams and your life. It is said that the more aligned we are with our core values the more satisfied we feel overall in life. How do you ensure that you are aligning your decisions and lifestyle in accordance with your core values? You first need to know what they are. In this workbook, learn a quick and easy system that will help you identify your core values helping you leverage them to increase your overall sense of personal fulfillment. All of us have people that we look up to or admire. We never dare to consider that perhaps what we see in them is actually a shadow of who we are -- of our own potential greatness. In this empowering workbook, learn a valuable self confidence building tool that will help you to identify your latent desires by identifying the qualities in others that you admire or look up to.